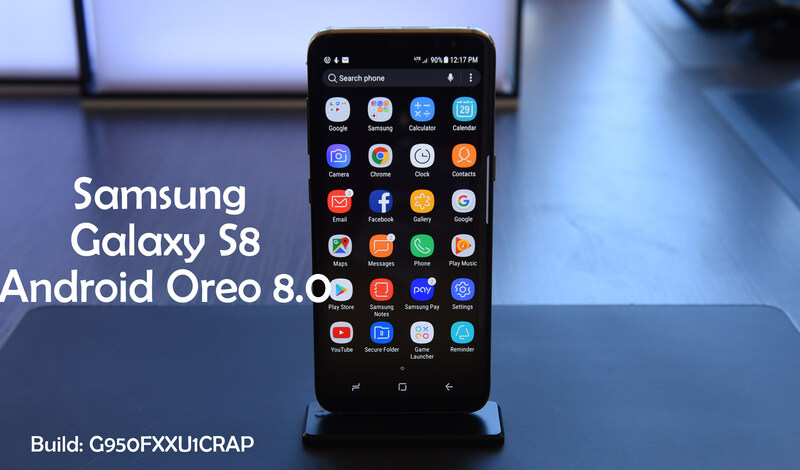 Download Android Oreo 8.0 Official Firmware for the Samsung Galaxy S8 SM-G950F with the same build G955FXXU1CRAP. The update has been finally released for the non-Beta Android Oreo users too. As always the developers at Samsung seems to be quite slow in letting the OTA update to reach all Galaxy S8 Users. So we have decided to bring the official Android Oreo 8.0 Firmware for the Galaxy S8 G950F owners. One more thing to remember here is that the Galaxy S8 Model SM-G950F devices are getting the update yet. Other variants of S8 might get the update later this month. The latest updates also brings the Samsung Experience 9.0 for the Galaxy S8. Some of the Galaxy S8 & S8+ users have already got the Android Oreo 8.0 Beta with SE 9.0 on their devices already. Now if you have you haven’t Rooted your device or you have flashed any third party ROMS on your device, then you might already have received the OTA update notification on your S8. But if you have injected new OS or Rooted your device, then you have to manually update your device Following this guide. For Samsung Galaxy S8 Plus Follow this guide. This is not only the Android 8.0 Oreo update for the Samsung Galaxy S8. But there is one new improvement coming with this update, and that is the new Samsung Experience 9.0. Previously known as the Samsung TouchWiz was changed to the SE with the release of Galaxy S7. Here are some of the new features added. 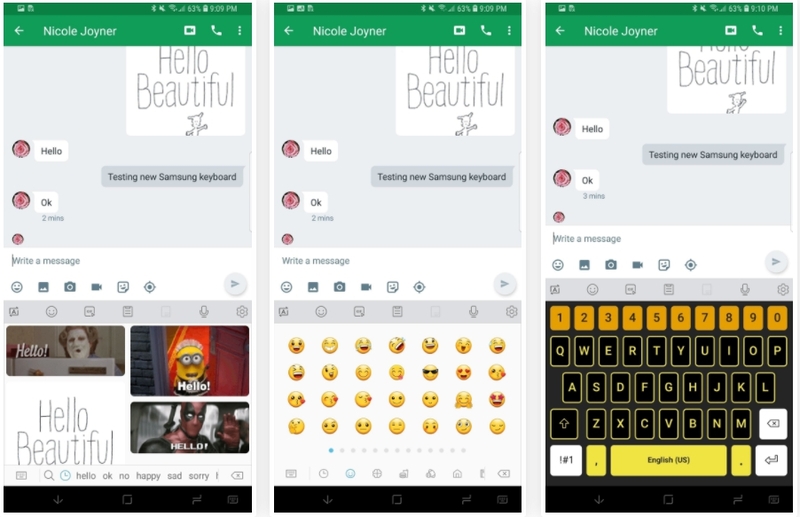 A whole new Samsung Experience 9.0 Keyboard and more standard Emoji’s. The New Snooze pin in the notification channel. New colorful lightning effect for notification. New Folders color for Home, and Folders hiding features. Apps like Facebook, WhatsApp, Messneger will now support dual accounts. New AOD (Always On Display) features Added in Oreo. These are some of the new features discussed here. But when you will download this Android Oreo 8.0 update on your device, You will find more such changes. Flashing your device Manually needs you to have following tools ready on the go. 3- Make sure to have at-least 60% battery before flashing your device. To update Manually using the ODIN tool You need to make sure to have original ODIN tool installed on your PC. You can get the detailed ODIN installation guide here. To enter the Flashing Mode, you need to Boot Your device in Download Mode with the help of this guide. If you are facing any issues in downloading and installing the firmware using ODIN, then you can comment below. We will make sure to sort out the issue. Download Firmware: Download Android 8.0 Oreo G950FXXU1CRAP firmware for Galaxy S8 G950F, for any country given below in the list. The update is first available for the European Countries. So you can download any version. You can later easily convert the language option to English.